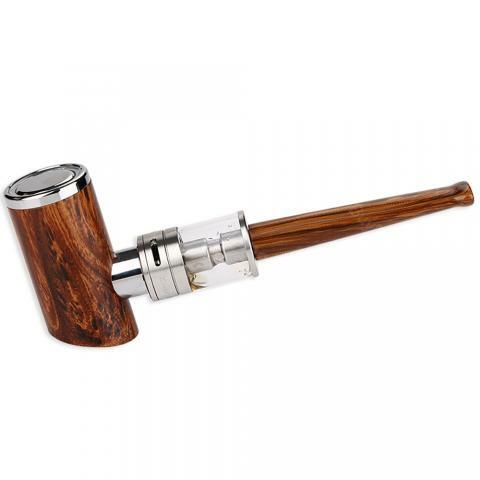 Kamry K1000 Plus is a stylish ePipe starter kit that combines classical and modern designs. It comes with a 1000mAh K1000 Plus battery that supports max 30W full power output. The K1000 Plus atomizer has 4ml e-juice capacity with a 0.5ohm coil and long cooling drip tip. 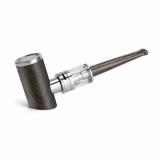 A good choice for pipe fans. Kamry K1000 Plus is an exquisite ePipe kit that can stand on the table without a holder. It comes with a built-in 1000mAh battery and a 4ml sub-ohm tank. Made of wooden body and stainless steel button, the K1000 Plus battery supports maximum 30W output power with triple safety protections. The K1000 Plus atomizer comes with a 0.5ohm coil, a long cooling drip tip and dual adjustable bottom air slots on AFC ring. You can enjoy an ultimate vaping as well as great hand feeling. • Quick link: Replacement coil head. The price is good from gear best, way cheaper than anywhere else I searched and much cheaper than in the UK. You get a good strong vape, taste is also good. I have not had any gurgling or liquid in my mouth yet after 2 weeks of use. Pipe needs charging daily, takes up to 3 hours to do so. I like the build quality of the actual pipe, I will get on to my issues with the Kamry tech tank in the cons box. Over all for the price I paid about £22 I feel it was money well spent. Though I would not pay over £30 for this. If it lasts a year then great, if longer then excellent. Excellent tube, i buy a third time, enough exactly for six months. This time there were problems-there was no contact of the battery with the atomizer. Long twisted the screw until it started. Kamry K1000 Plus ePipe Kit with a 1000mAh power It is a classic ePipe kit that comes with a 1000mah built-in battery and a 4ml sub ohm atomizer. The max output is 30W and the max current.